Mental Health Billing: Medical Billing: Contemporary Management Solutions, Inc. (CMS, Inc.) specializes in third-party medical billing with primary focus in mental health billing and consulting service to the chiropractic community. 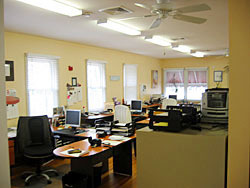 Serving Massachusetts and the New England area, CMS, Inc. provides expertise in all aspects of mental health practice administration; including mental health billing, electronic claims submission, patient billing, accounts receivable management, insurance verification, authorization tracking and credentialing. Currently we provide services in the New England area only. Electronic claims processing makes up 98% of the of our claims submissions. There are still a few plans that have not yet adopted electronics, in those cases we submit accurate clean paper claims. 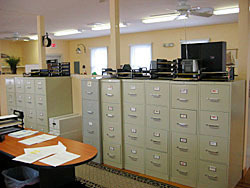 Our office is versed in all claims filing options! Claims submitted electronically are edited for accuracy in real time, so if there is a content problem we know about it instantly. The error is immediately corrected and the claim resubmitted. We strive to keep insurance payments under 30 days, in the case of Medicare with electronic filing payments are made in 13 days. Take advantage of the speed and accuracy of electronic claims by contacting us today. Most people seeking mental health care have insurance they would like to use to cover those services. Our office will verify the coverage prior to your first session with your new patient, or existing patient with new coverage, we will notify both you and the patient of the coverage so you can be sure of the benefit. Problems are dealt with then, not after the claim rejects when it is often too late to fix an error! At the same time we can initiate any pre-authorization required for your care. 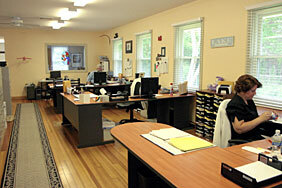 Have you begun to see the time you can save by having our office provide your practice administration? Contact us now so we can answer any questions you may have. During the course of the patient's care there will be times when you are unable to collect co-payments at the time of the visit. When that occurs, or if the patient has a deductible, or an uncovered charge, our office will send the patient an invoice for the amount owed. Patient statements are mailed once a month to any patient owing you money. 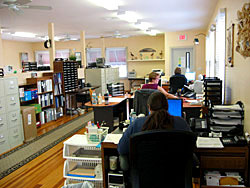 Our office has an 800 number for your patients to call if they have a question on their bill. We would ask that you not be the "messenger", ask them to call our office. 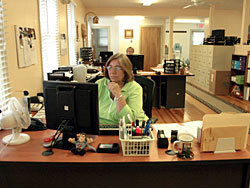 Each of our practice administrators is well experienced with questions on billing. We are more than happy to provide whatever detailed information needed to completely answer the patient's question. Here too we excel at service and patient satisfaction! The sooner you contact our office the sooner we can begin answering your patient's billing questions. During the time you care for your patient many things happen that affect their ability to pay their portion of the cost. Jobs lost, insurance terminated, other events that can cause their balances to grow. Every month we will mail the patient a statement of their account. If you decide they should have a payment plan we will make note of those considerations and make sure you are aware of the compliance with your agreement. Each month you receive a detailed list of the balances owed by your patients, additionally we send a list of the statements being mailed for your practice. During the initial insurance verification our office will make sure any pre-authorization required is opened. Then as you provide care we will track the usage of the authorization and notify you ahead of time when you need to request more visits. Additionally we prepare the forms for your submission. At the year end we will submit to the plans, any information they may require for continuing care with existing patients returning in the new year. Another big time saver for you. Contact us now to start enjoying the extra time. Either more free time or more patient care, your choice! CMS, Inc. can provide you with all of your credentialing needs, including new panel applications, re-credentialing, document distributions. Additionally we are well versed in the CAQH process and can provide you with content review, or an optional full enrollment with CAQH. Additionally once you are setup with CAQH we will take care of the 120 day re-attestation requirements for you. One more service item we provide that will save you time! Contact us today so you can start saving that extra time today!